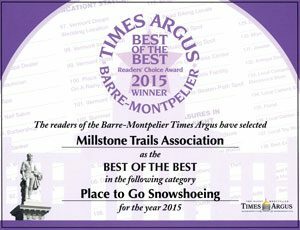 Millstone Trails Association is a non-profit organization that maintains the Millstone Trails, a network of non-motorized recreational trails in Central Vermont. Our trails traverse 1,500 acres of diverse and dramatic terrain, among historic quarries, New England villages, and regenerating forests. 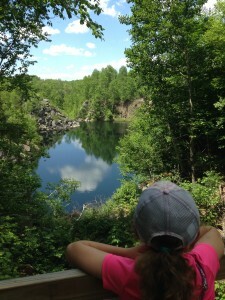 If you like our trails, whether it be for walking, biking, skiing, snowshoeing, photography, history, or just enjoying the scenery, we encourage you to make a tax-deductible donation. Donations and mountain bike day passes are the source of funding that keep the Millstone Trails open. 100% of these funds go directly to trail maintenance, primarily materials and tools, parking maintenance and grooming trails in the winter, and the administrative expenses of operating a public recreation area. 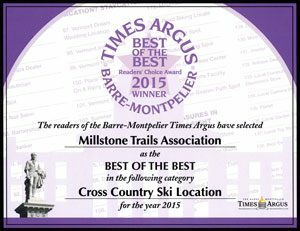 Thank you for enjoying and supporting the Millstone Trails.